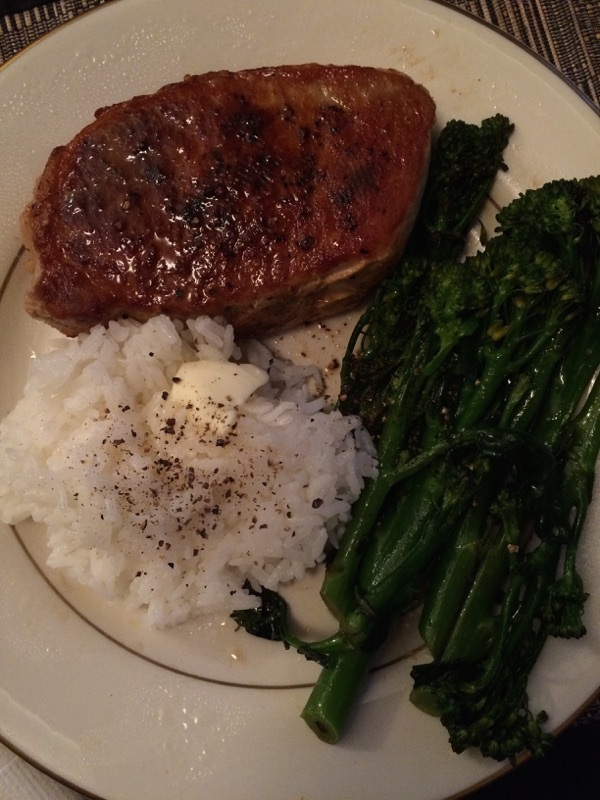 I cooked a pork chop in the old immersion circulator for the first time tonight. Wow. As good as the chicken was, this was fantastic. I have been following the ChefSteps sous vide time and temperature guide. Did this one on the high end of the guide’s scale, and it was great. Tender, juicy, flavorful (it’s definitely worth it to get high quality pork for this). I also set up a few extra and threw them in the freezer. I can totally see this becoming a regular meal for me.